Biofertilizer (or in the UK Biofertiliser) will become a major source for plant fertility in agriculture in the future*. 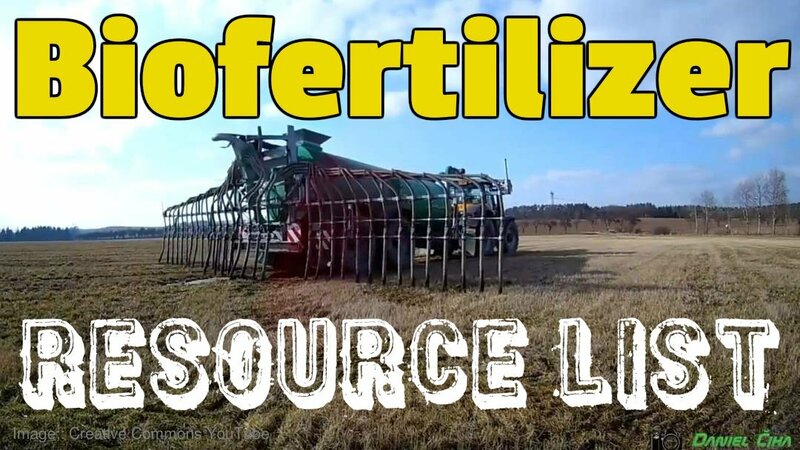 That’s why we have compiled this resource page, defining biofertilizer and listing topics of importance re: biofertilizer and diBiofertiliser (the name for “digestate biofertilizer”). A major benefit of biofertilizers comes from the presence of “plant-growth promoting rhizobacteria” (PGPR) – (See Resource No. 1 below). ii) the by-product of anaerobic digestion, which is called digestate. However, anaerobic digestion process based biofertilizer is not the only type of biofertiliser included in the resource list which follows. Digestate biofertilizer is an excellent source of nitrogen (N) to apply to grassland, and crops as part of a scientifically based and field by field sampled and tested nutrient plan. UK farmers apply the guidance given in Defra‘s Fertiliser Manual (RB209). Biofertilizer crop yield can be higher compared with manufactured NPK applications, as a result of the additional potash supplied by the digestate. Experiments on a grassland site in Wales showed that food-based digestate increased yields by 5% when a soil potash deficit was present initially. Fibre (looks similar to compost, with or without maturation in windrows). In most locations the dominant form when used in for agriculture is “mixed” (liquid and fibrous). Not only does the diBiofertiliser nutrient content vary from digester to digester. Uptake will depend upon the extent to which there is a nitrogen (N) deficit in the soil. For that reason it is essential to obtain a recent nutrient analysis before deciding to use it. Due to its high ammonium content, there is great potential for N losses to the environment when spreading digestate, which reduces its nutritional value. * How can we be confident about biofertilizers becoming a major source of plant fertility in agriculture? We can be confident in our prediction because manufactured chemical based fertilizer is a finite resource in the same way as fossil fuels are finite. A biofertilizer (also bio-fertilizer [biofertiliser UK) is a substance which contains living microorganisms which, when applied to seeds, plant surfaces, or soil, colonize the rhizosphere or the interior of the plant and promotes growth by increasing the supply or availability of primary nutrients to the host plant. Biofertilizers can be expected to reduce the use of synthetic fertilizers, and perhaps surprisingly also reduce the need for pesticides. The microorganisms in biofertilizers restore the soil’s natural nutrient cycle and build soil organic matter. Through the use of biofertilizers, healthy plants can be grown, while enhancing the sustainability and the health of the soil. Since they play several roles, a preferred scientific term for such beneficial bacteria is “plant-growth promoting rhizobacteria” (PGPR). Therefore, they are extremely advantageous in enriching soil fertility and fulfilling plant nutrient requirements by supplying the organic nutrients through microorganism and their byproducts. Hence, biofertilizers do not contain any chemicals which are harmful to the living soil. Renewable fertilisers can increase yields and reduce costs with no impact on crop quality. The UK Farmer’s weekly provides tips on using anaerobic digestate as a fertiliser here. At our ReFood Anaerobic Digestion plants we do more than just produce energy. We also make a high-quality biofertiliser that’s completely sustainable. We call it ReGrow. It’s good for soil fertility and health. Which in turn is good for crops. Which in turn is good for consumers and supermarkets. BCS is part of Renewable Energy Assurance Ltd, a subsidiary of the Renewable Energy Association. Plants are assessed by two independent Certifying Bodies and an independent Panel oversees the BCS. The production of organic fertilizers is generally considered environmentally friendly as it involves recycling food waste from households and other sources to make useful products that can be used to grow more food. 10. Pathogen Risks from Biofertilizer? There is little published research into the pathogen risk of using products derived from animal by-products, however a minimum of three weeks between spreading and grazing or harvesting is recommended to negate any risks. In addition, in the UK this type of digestate will have been pasteurised to comply with the Animal-byproducts Regulations (ABPR). Digestate must be noted down in Nitrate Vulnerable Zone (NVZ) records and, where derived from livestock manures or slurries, must be accounted for in the farm average livestock N loading (170 kg/ha/year). via AHDB. 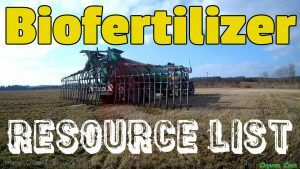 5 Responses to Biofertilizer Resource List – It’s a Must-Have! You omitted I think to mention one very important UK political change last year when Defra, Parliament & WRAP all began at last singing from the same hymmsheet? The well-known Waste Hierarchy now correctly shows AD above Composting, which some of us have been lobbying for a long time rightly so. Studies have shown that AD is actually slightly more financially & economically better also, a fact often misunderstood by local authorities who now should be digesting organic waste rather than composting it! Ideally, local authority & private plants should combine both on the same location. Thanks for pointing out the change to the Waste Hierarchy which I had not been aware of. I also agree wholeheartedly with your statement: “local authorities who now should be digesting organic waste rather than composting it”. Strangely, our local food waste collection goes into our garden-waste wheelie, which is composted. That’s done, I presume, simply to save the council money? Are you advocating that garden waste should go to anaerobic digestion as well as food waste? In principle I would agree for everything non-woody, and yet wouldn’t that be more expensive (in gate fee charges) than composting, and therefore an impossible thing to ask for in view of further impending LA funding cuts? Some garden & municipal waste will be OK for AD, (and even Indians have used AD for lignin feedstock, but maybe dry rather than wet process?). That’s why I was suggesting ideally councils should have combined plant to optimise process for all feedstock collected. In our area in 2011, a county council residual bin composition survey found 26% was foodwaste which goes to either EfW or RDF (destroying the potential fertiliser!) & pays an extra £62/Te gate fee over composting!! Furthermore, average foodwaste caddy setout rate for our council (only one of 10 statutorily requiring source segregation!) is only 35% (worse in urban locations)! Commercial foodwaste is much worse with probably most going as residual to EfW or RDF (& some maybe to landfill?). Virtually all UK councils are the same I suggest, and continuing failure of government to legislate policy requirement for all commercial foodwaste source segregation, and pre-process in waste stations by producers that recover all resource for subsequent collection and AD (i.e. polluter pays!) is appalling economic loss (& environmental pollution!). Our study has also identified significant opportunities for further savings in the process of collection & processing. But, who is listening? Good post. I am being taught something challenging on totally different webs everyday. Looks like it’s time to consider getting into this. Thanks for sharing. I came across your “Biofertilizer Resource List – It’s a Must-Have!” with web page. I found it useful but can I ask you a question. You say excessive nitrogen loss to the environment. I heard that ammonia emissions were a problem for biogas digestion.